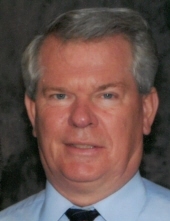 Celebrating the life of Jesse Claiborne Hundley, Jr.
Obituary for Jesse Claiborne Hundley, Jr.
Jesse Claiborne “J.C.” Hundley, Jr. 66, of Axton, VA passed away Thursday, March 28, 2019 at Lewis-Gale Medical Center. He was born September 12, 1952 to Annie Marie Bowles Hundley and the late Jesse Claiborne Hundley, Sr.
J.C. was a member of Greenwood Baptist Church in Axton where he served as a deacon and Sunday School teacher. In addition to his mother, he is survived by his wife of 45 years, Linda Pilson Hundley of the home; son, Jeremy Ross Hundley and wife, Amber of Bassett, VA; brother, Jimmie Hundley of Axton, VA; and grandchildren, Parker and Makennah Hundley. A funeral service will be held at 3 p.m. on Monday, April 1, 2019 at Norris Funeral Services, Martinsville Chapel with Rev. Mark Redd and Rev. Jared Austin officiating. Visitation will be from 6 p.m. to 8 p.m. on Sunday, March 31, 2019 at Norris Funeral Services. Burial will be at Roselawn Burial Park. In lieu of flowers, memorial donations may be made Greenwood Baptist Church, 2911 Mountain Valley Road, Axton, VA 24054. Norris Funeral Services, Inc. and Crematory of Martinsville, VA is serving the Hundley family. To send flowers or a remembrance gift to the family of Jesse Claiborne Hundley, Jr., please visit our Tribute Store. "Email Address" would like to share the life celebration of Jesse Claiborne Hundley, Jr.. Click on the "link" to go to share a favorite memory or leave a condolence message for the family.